Emmebeth was born in Dire Dawa, but when she was 3 days old her grandfather put her at Saint Augustine church next to Abune Andreas, where she spent the next 16 years under the care of a nun. Emmebeth grew up at Abune Andreas and in 1988 received a scholarship to attend school in the United States. Emmebeth returned to Ethiopia in 2008 to adopt her son and visited Abune Andreas. She found Abune Andreas rundown and without the resources to support the girls living there. The orphanage was on the verge of closing without the proper funding. 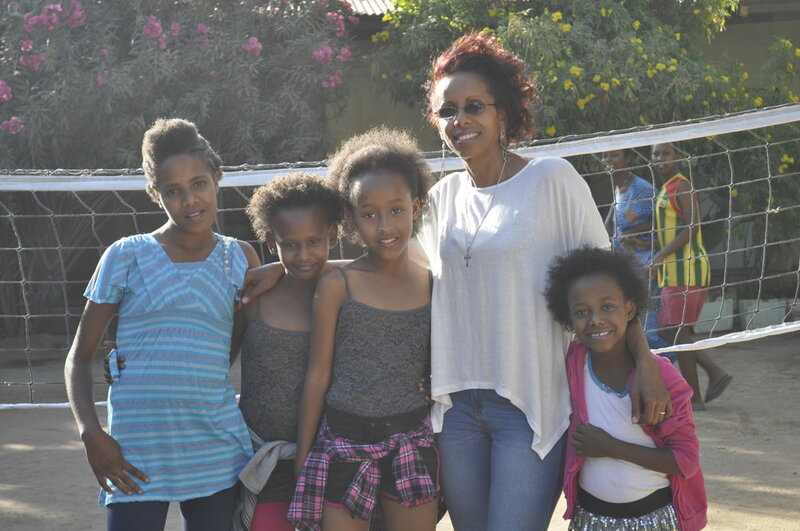 In 2010, Emmebeth decided to start Ethiopia's Tomorrow and take full responsibility to support the education of all the girls at the orphanage. Over the course of 8 years Ethiopia's Tomorrow was able to raise the funds to transfer 35 of the 48 girls from the dilapidated government run schools to local private schools. During this time Ethiopia's Tomorrow built locker rooms, school desks, provided books and setup a tutoring program for the girls to ensure learning continued after regular school hours. During this time the first two girls in the orphanage's history attended university. In addition to support Abune Andreas, Ethiopia's Tomorrow built a school with three rooms for children under the age of 10 in a rural area of Ethiopia called Cheffa. Prior to the school's construction, children would have to wait until they were 10 years old to join school with the closest school 1.5 hours away. Ethiopia's Tomorrow continues to search for ways to facilitate quality education for orphans in Ethiopia.